Thank you for helping us bolster our advocacy work on your college campus. These materials should give you all the tools you need to make your work a huge success. Please don’t hesitate to reach out to your staff partner if you have any questions or additional needs. This one pager details all the resources available to bring this campaign to campus. We want you to be creative when you bring this campaign to campus but here are a few ways to get started. This giveaway item can be used to remind students that they supported the 2017 STAR ACT. ACS CAN staff can orders these on the materials website. Find out more about childhood cancer and waht ACS CAN is doign to make it a priority here. Learn ways the American Cancer Society is supporting Childhood Cancer Research. Details about the next steps for this newly passed legislation. Finding the right volunteer to champion your advocacy activities is an important first step to campus advocacy success. Use these tips to make recruitment easy. 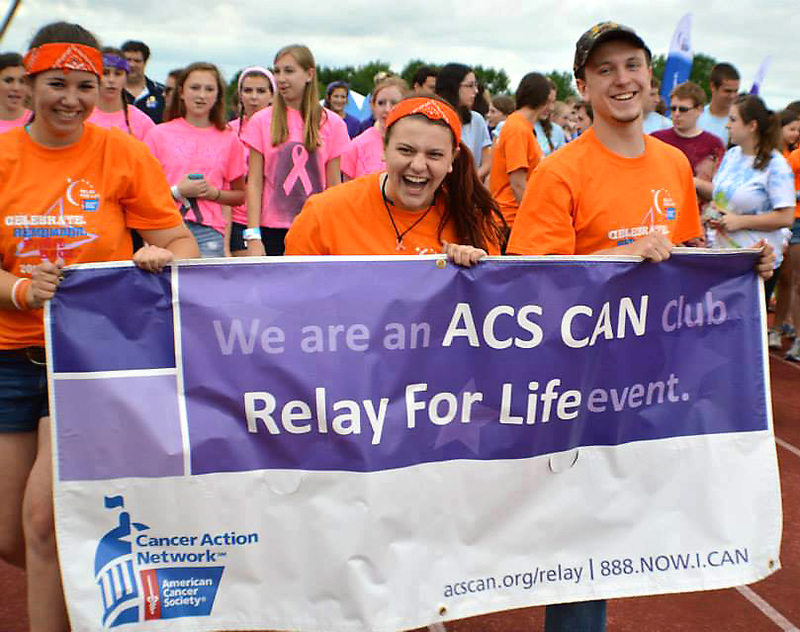 Work towards this high-level recognition by integrating ACS CAN into the work you are doing to fight cancer on campus. Need help getting excused from class to attend the ACS CAN State Day at the Capitol? Work with your local staff person to get this letter signed and delivered. Share with your professor all the good work you are doing for ACSCAN and get yourself excused from class for the State Day at the Capitol.